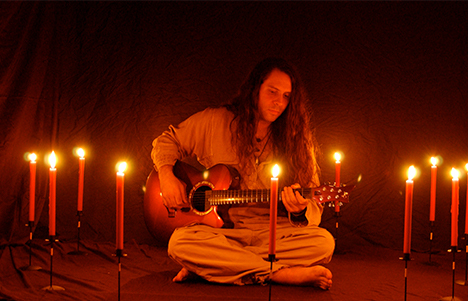 Steve Booke (guitar) is a Berklee College of Music graduate and a film and television music composer . Aside from composing, he has been teaching guitar for twenty years and has been studying guitar for twenty-four. 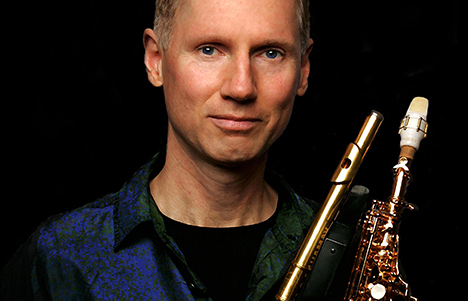 Premik (flute) is a composer, arranger, producer, and an accomplished multi-instrumentalist, performing on various flutes; soprano, alto, and tenor saxophones; wind synthesizers; and lap steel guitar. He is equally adept in pop, R&B, jazz, world, and experimental genres and has worked with a large repertoire of artists, including: Carlos Santana, Whitney Houston, Herbie Hancock, John McLaughlin, Ravi Shankar, Narada Michael Walden, Clarence Clemons, Ornette Coleman, Jackson Browne, Jean-Luc Ponty, Lonnie Liston-Smith, Scarlet Riveria, James Taylor, Sting, and Lady Gaga.